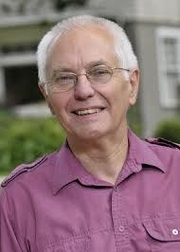 John Goldingay is the David Allan Hubbard Professor of Old Testament in the School of Theology at the Fuller Theological Seminary in the United States. Prior to this he was principal and a professor of Old Testament and Hebrew at St John’s Theological College in Nottingham. He is the author of many books, including Old Testament Theology Vol. 1, Walk On (2002), as well as commentaries on Daniel, Isaiah and Psalms. He holds membership in the Society of Biblical Literature and serves on the editorial board for the Library of Hebrew Bible/ Old Testament Studies. John Goldingay is currently considered a "single author." If one or more works are by a distinct, homonymous authors, go ahead and split the author. John Goldingay is composed of 12 names. You can examine and separate out names.